LAST WEEK MY MATE David and I undertook another sizable rail-based outing. This one was even longer than our excursion to Weymouth in November. 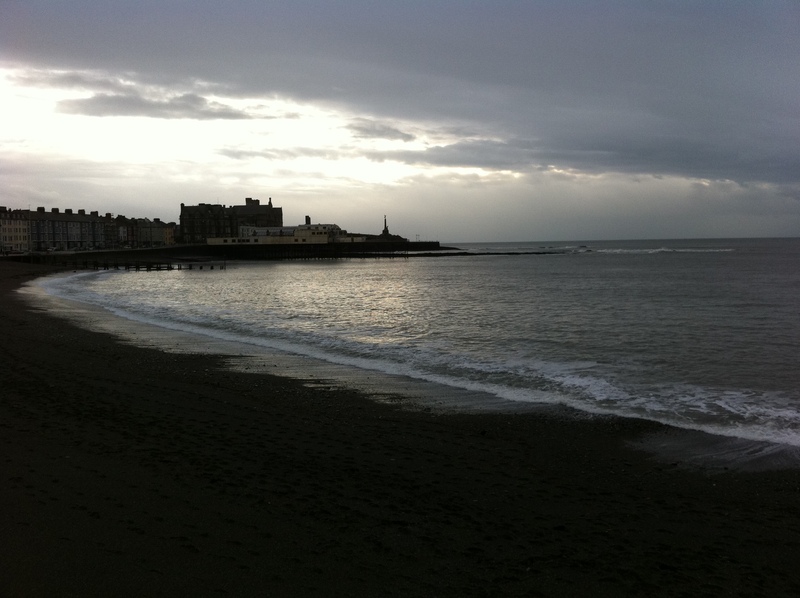 Our destination was Aberystwyth, a round trip of almost 10 hours from London. But as before, the journey was intended to be of as much importance as the destination. Clocking in at almost 10 hours it could never be anything but. 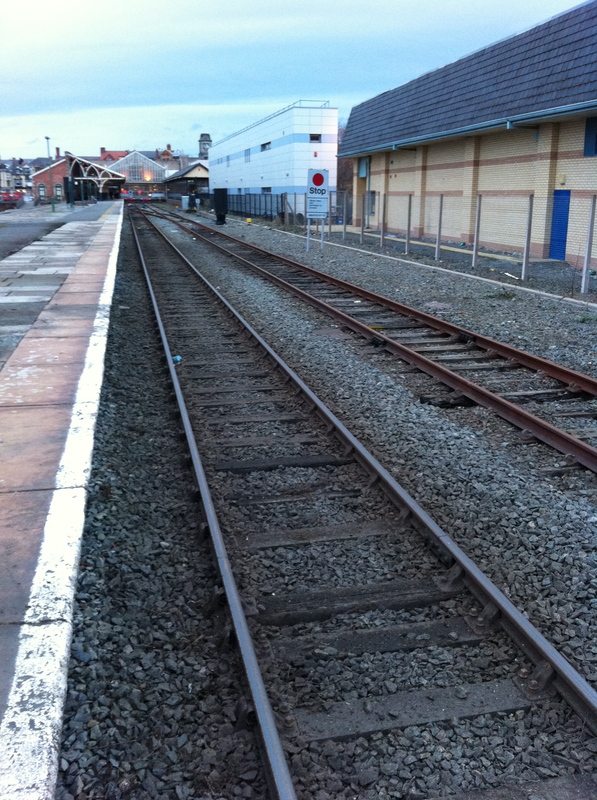 Neither of us had been to the area before, nor travelled along the particular railway called the Cambrian Line that crosses the middle of Wales linking the Irish Sea coastline with Birmingham. It’s a sedate service that scoops up residents, students, shoppers and workers heading either to or from a score of West Midlands and Welsh border towns. 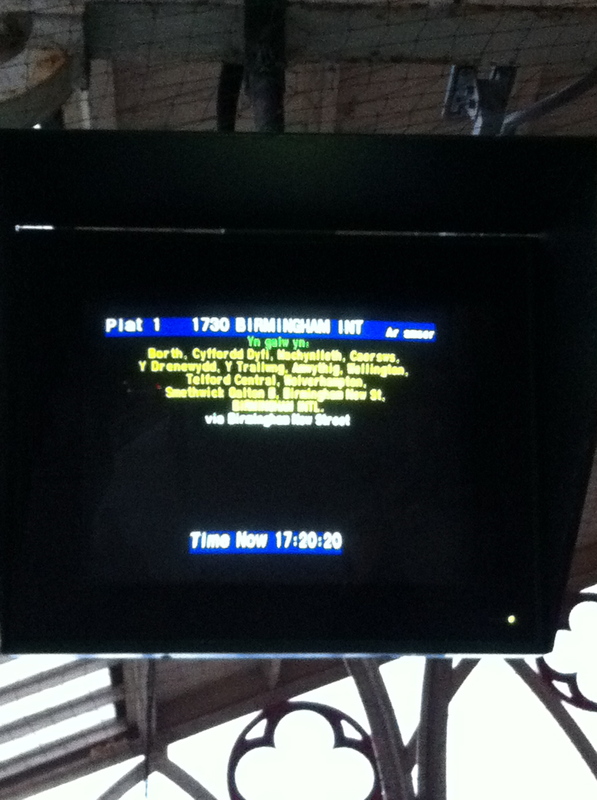 It also took twice as long to cover the same distance as that between Birmingham and London. Unsurprisingly, no tourists or holidaymakers were in evidence at this time of year. The only definable group of people among the decidedly disparate bunch of passengers on both our outward and return journeys were the dozens of teenagers who packed out the the train back from Aberystwyth, on their way home from an open day at the university. They clutched their plastic bags of leaflets and freebies and made us both feel very old. Some of them, to my eyes at least, looked 13 or 14. All of them had expensive smartphones. One of them was with his mother. Hmm. Higher education is clearly a product nowadays, which is only purchased after the consumer, or rather the consumer’s benefactor, has shopped around. Still, I was a bit heartened by the kid’s apparent interest in a leaflet about a course in International Politics. Or perhaps he was just pretending to be interested in order to please his mum, who for much of the time had her nose in the Daily Mail. My university days are so long ago now that I am unable to empathise much with contemporary students, never mind students-to-be. I spent my time as an undergraduate in a world without mobile phones, the internet, tuition fees, even – for a time – central heating. It wasn’t that long ago in the grand scheme of things, but at that moment, on that train coming back from Aberystwyth, it felt an age. As did, it has to be said, the journey itself. The outward voyage had been fascinating, passing through places such as the beautifully isolated (and charmingly named) Dovey Junction, completely inaccessible except for a solitary three-quarter-mile footpath, and where the train divided to carry one set of folk all the way round Snowdonia up to Pwllheli, leaving the rest of us to chug forwards through marshes and valleys to Aberystwyth. This division had actually caused a bit of confusion, not least on the part of the train manager who claimed to have been “misinformed” about which carriages would be heading where, and as such hounded a bunch of passengers first one way then the other. There was also a passenger who purported to have got on the train without a clue as to where it was going. I am amazed that this sort of thing can still happen. It was enough of a topical blunder to still be fit for comic treatment in the vastly underrated John Cleese caper Clockwise. But that was 25 years ago. 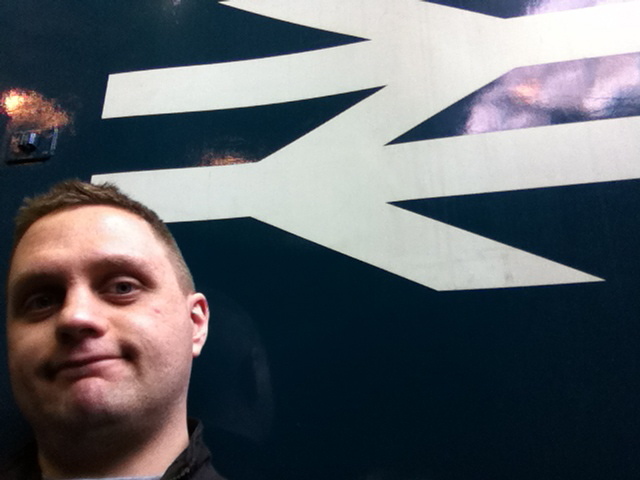 For someone of apparently sound mind to board a train in the year 2011 and then have to ask, immediately, whether it was heading for his station, despite all the sources of information available to him online, on his phone, on the station platform… well, it was hard to feel much concern for his plight. And even less when he feigned wiping his brow in “relief”, akin to someone in amateur dramatics, once he realised he was, indeed, going the right direction. Anyway, the long haul to the coast was great on the way out, when we were travelling in daylight with much to see and absorb. Coming back, in the dark, with all the students, was less appealing. Plus we changed at Birmingham New Street rather than Birmingham International, the former constituting, still, after all these years, the darkest, dankest mainline interchange in the country. 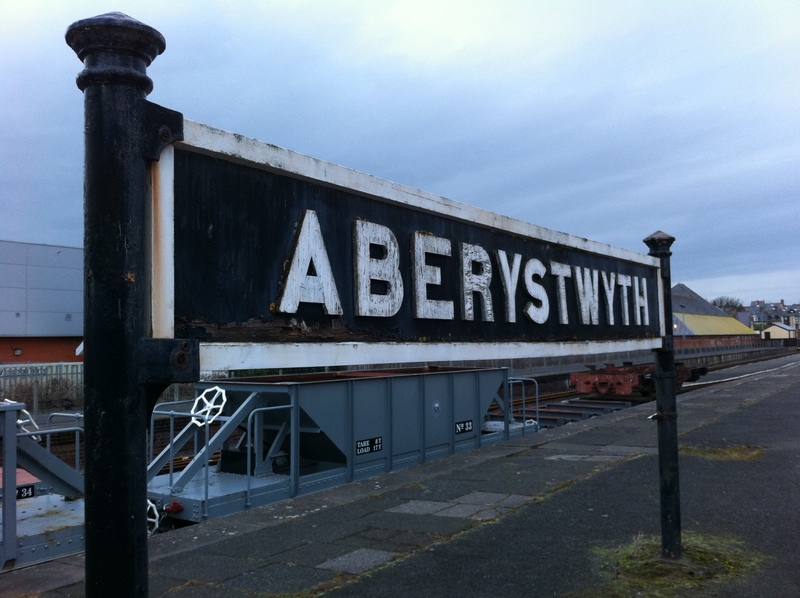 As a sidenote, the reason the Cambrian Line exists at all is because, at the time of the Beeching Axe in the 1960s, it ran through seven Labour marginal constituencies and hence was thought too politically risky to abolish. Though even that wasn’t enough to save the likes of the wonderfully-titled Scafell Halt, Moat Lane Junction and Commins Coch Halt. Aberystwyth itself I’d recommend to anyone. The seafront is endearingly compact, and the sound of the waves crashing on to the gravel shore a little hypnotic. 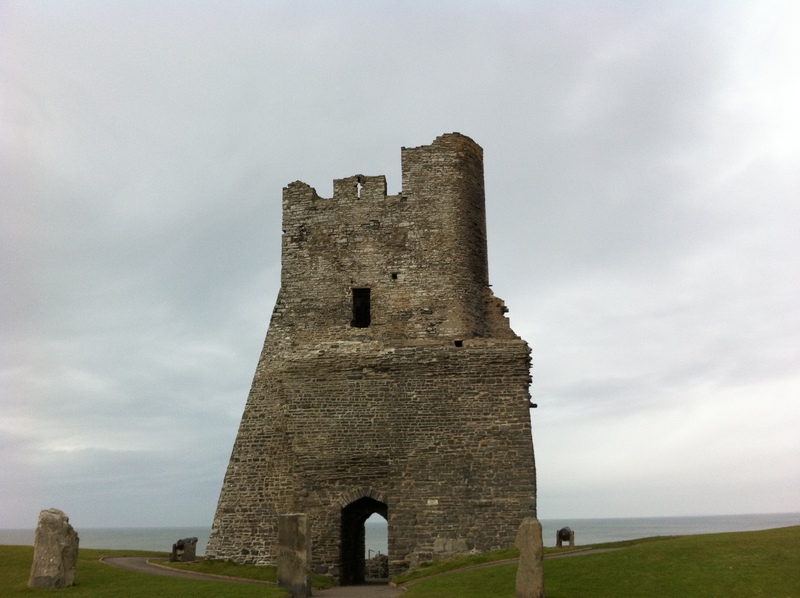 There are the imposing castle ruins overlooking a grand sweep of coastline. Plus there’s a rather nice cafe, or tea bar as it would’ve once been called, tucked down one of the town’s side streets, in which we listened to two old women talking in Welsh and enjoyed reasonably priced refreshments. 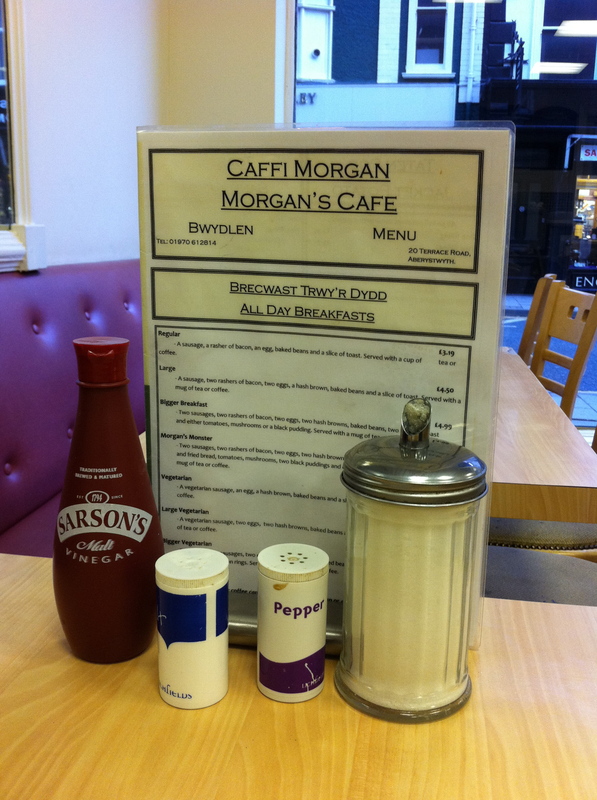 What’s on the bwydlen?